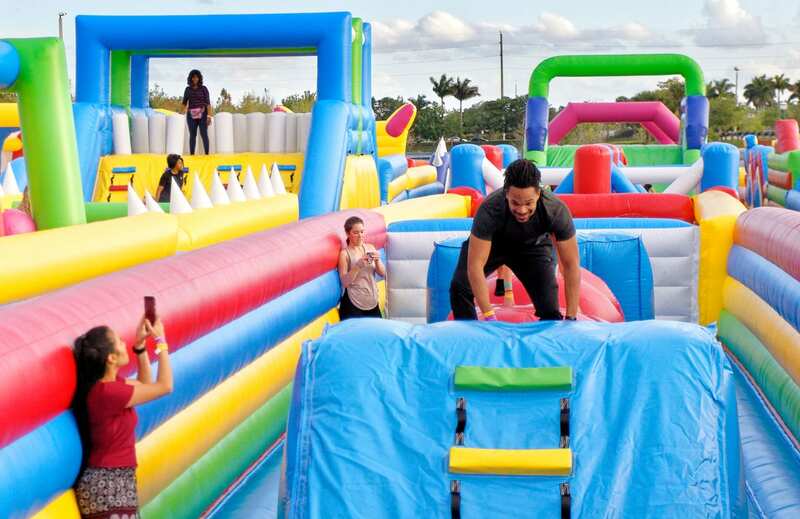 The Giant @ Big Bounce America | Can You Slay The Giant? CAN YOU SLAY THE GIANT? Ready for some fun competition between friends? Looking for even more crazy bouncing, climbing, and flipping action? Then we have just what you need in our brand new attraction…..THE GIANT! 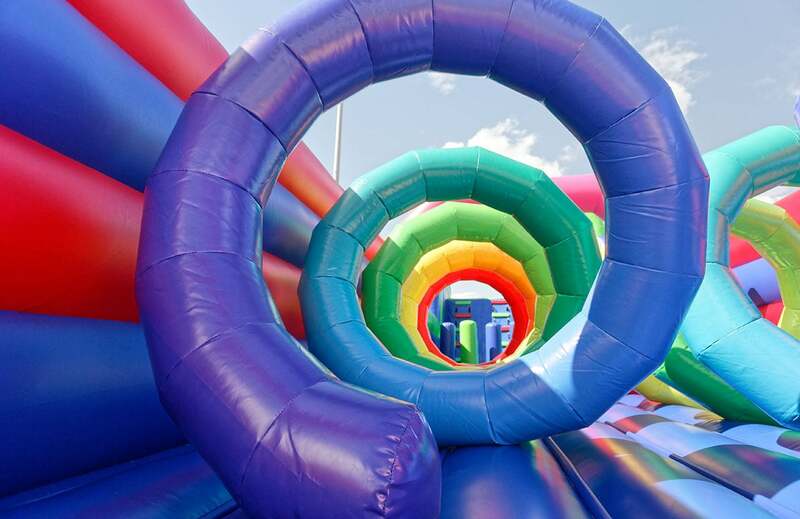 At over 900ft in length this is one of the most fun and energetic experiences you’ll ever have. 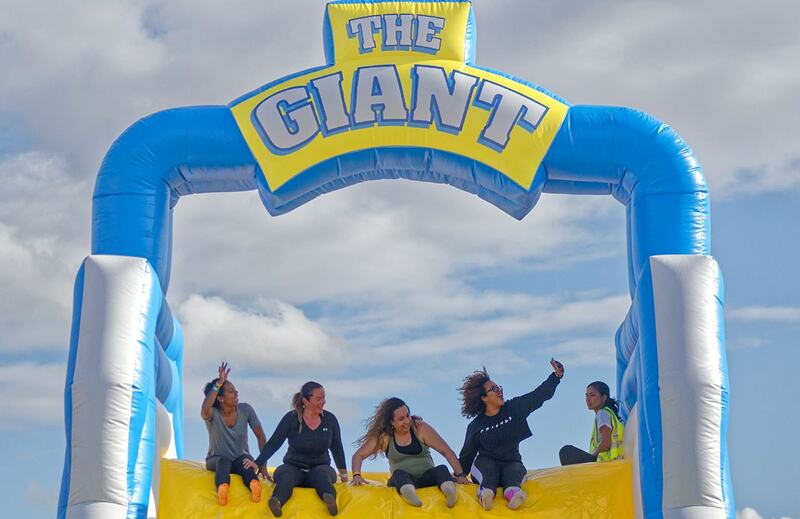 There are 50 different obstacles to overcome as you make your way from the start line to our grand finale monster slide. 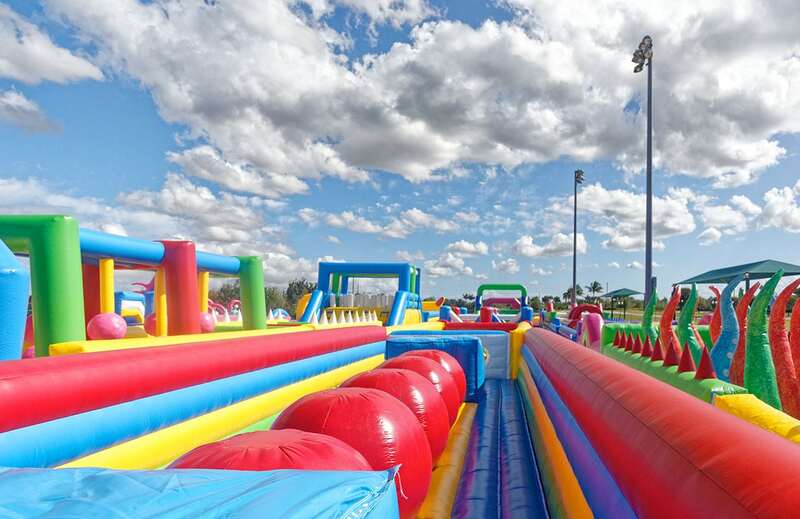 Ideal for all aspiring Ninja Warriors, obstacle race fanatics and anyone else who likes a challenge! 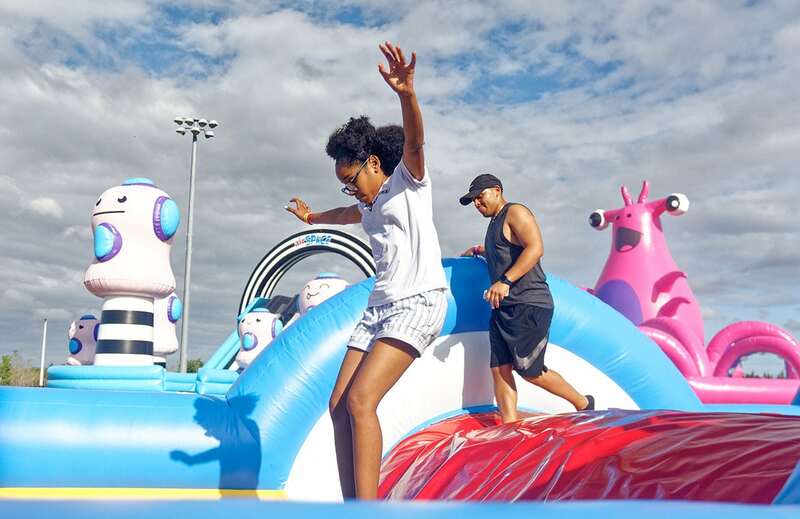 Whether you want to race your friends or just enjoy a leisurely bounce through some of the most colorful and fun inflatable landscapes you’ll ever have seen The Giant has something for everyone. 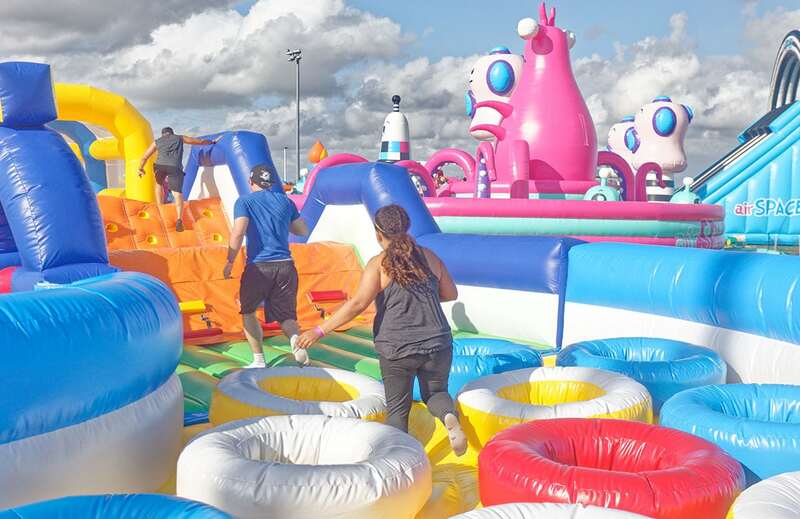 See who can make it across the famous giant red balls, who can crawl through the rainbow spirals and who can navigate the zone of inflatable giants in the fastest time? And when you’ve finished, it’s time to catch your breath and do it all over again!